A ten-step program for those who see that time won't break race walls. In 1992, two churches in Oxford, Mississippi, one black and one white, started a process of racial interaction. 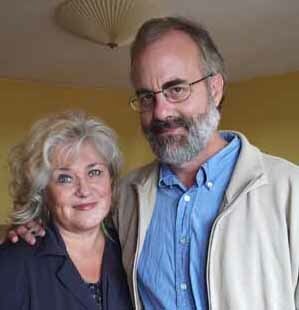 Filmmaker Kent Moorhead followed the process and saw programs start, have an impact, but then be allowed to die. 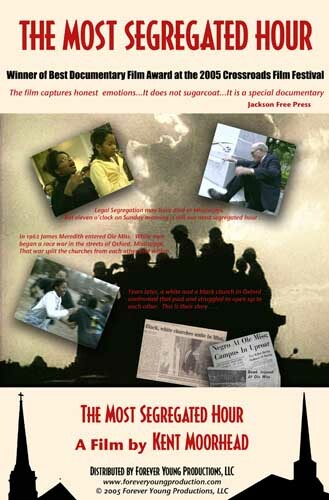 The footage he shot led to the film, The Most Segregated Hour, winner of the Best Documentary Film Award at the 2005 Crossroads Film Festival. Scene of white and black congregations discussing racial reconciliation. From "The Most Segregated Hour". But the film also led to a determination to understand why the attempts didn't prevail. Why did white people make excuses instead of changes? The analysis and soul searching led to the idea, that instead of letting the same obstacles stand in the way time after time, churches and other organizations could take a concrete approach. It led to a ten-step program dealing with things such as people's excuses and looking at what we really mean with forgiveness. This approach has been embraced by the Foundation for the Mid South. Ten steps of honest, no-nonsense language combined with a lot of laughter, as a fresh way of looking into reality. The program is designed for churches and other institutions that want to engage across the racial barrier. This is not a program for people in denial. It is a program for those who have moved past denial and are ready to engage. This program will include study guides for both leaders and participants, supplemental materials and an extended DVD, including the film, The Most Segregated Hour, along with additional short features, which can be used for discussion.